After a long and busy first half of the year, we’re nearly at the first exam session for our Year 9 students. This is the first taster of serious assessment for most of our boys. Last year, my Latin class really struggled to read and follow instructions and underperformed as a result – leading to tears in places! However it was obviously a valuable experience because, in the final exam at the end of the year, the class improved on average by 15%. To prepare for this exam I gave my two classes a translation test to give them an idea about how they’re tracking. Unfortunately one class was disrupted by a fire alarm! Once I started marking the papers of the other class, I noticed that a lot of them were making the same consistent mistakes and so I came up with (what I thought was) a cunning plan. 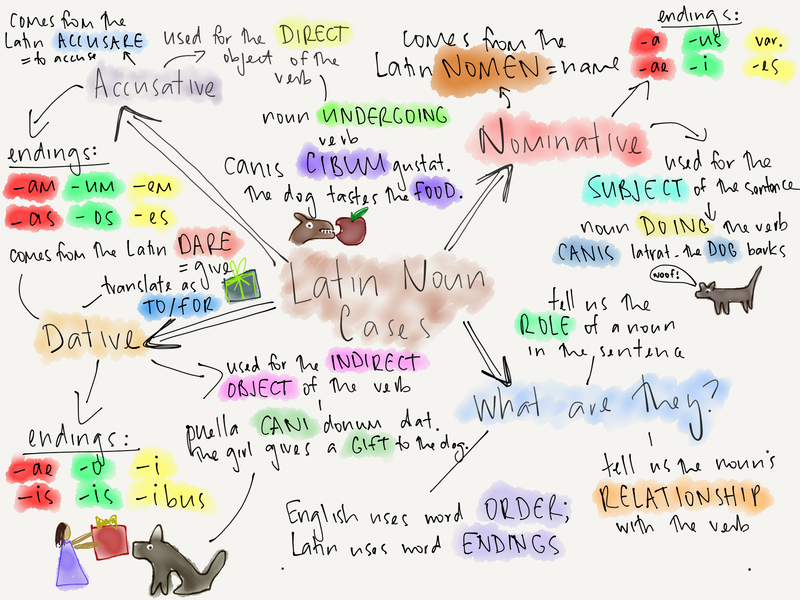 A bit of background first – my Year 9 Latin classes have just met the imperfect and perfect tenses (Stage 6 of the Cambridge Latin Course is an important turning point!) and, after translating stories where everything is happening in the present, they now have to pay close attention to verb endings. The tests showed, however, that a lot of them weren’t doing this. I wanted them to really focus on where they were going wrong, and came up with a worksheet to help. 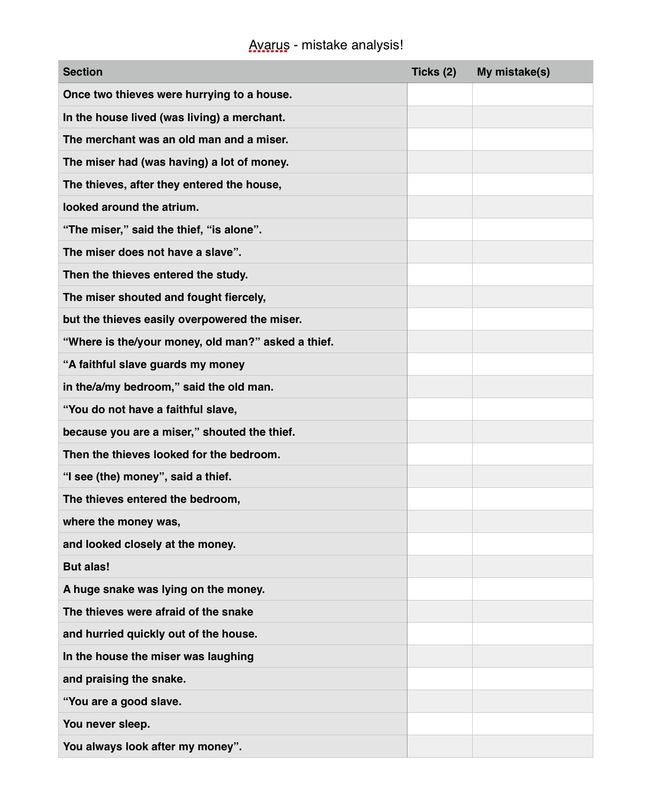 I should also note that the students are given all the vocabulary they need for the test, but it is up to them to figure out what the verb/noun endings mean so that they can translate it correctly. This student was one of the better performers in the class, but it was very easy for him to see how much he could improve by paying closer attention to tense. Doing this kind of analysis and looking at results in a visual format really revealed a lot of patterns. It was very interesting to talk to the students about their results and what their focus should be for improvement. Some came to the realisation that they had a tendency to skip out words or sentences, so needed to translate more slowly and carefully. 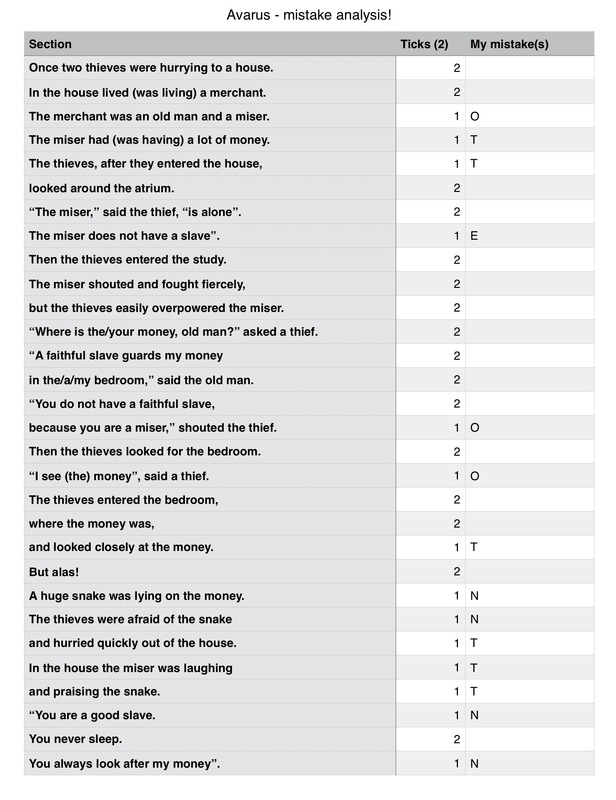 Verb tenses was probably the biggest issue, but others realised just how many marks they lost because they hadn’t finished. When we discussed potential reasons for this, a couple said that they spent too much time double checking the words in the vocabulary list – even though their instincts were correct a lot of the time! I’m really looking forward to seeing how they do in their exam translation after this exercise. This year is the first time that I’ve taught two classes of the same level and subject and, thanks to the fire alarm, I’ve now got a control group! I have to confess that I’ve been procrastinating Thing 22 as it seemed a really tricky one to implement in my classroom. 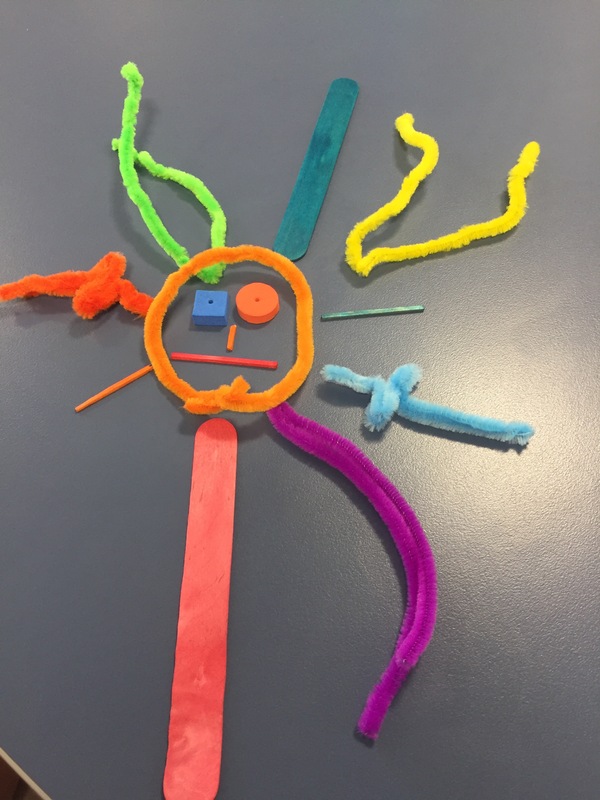 I was first introduced to the idea by Zeina Chalich at the K-12 Digital Classroom Practice conference in Melbourne last year, and it seemed cool. From my very first week of teaching here, I noticed that boys LOVE to fiddle with things (and soon learned not to give them ANYTHING until I wanted them to do something with it, as it would get transformed/broken/destroyed). 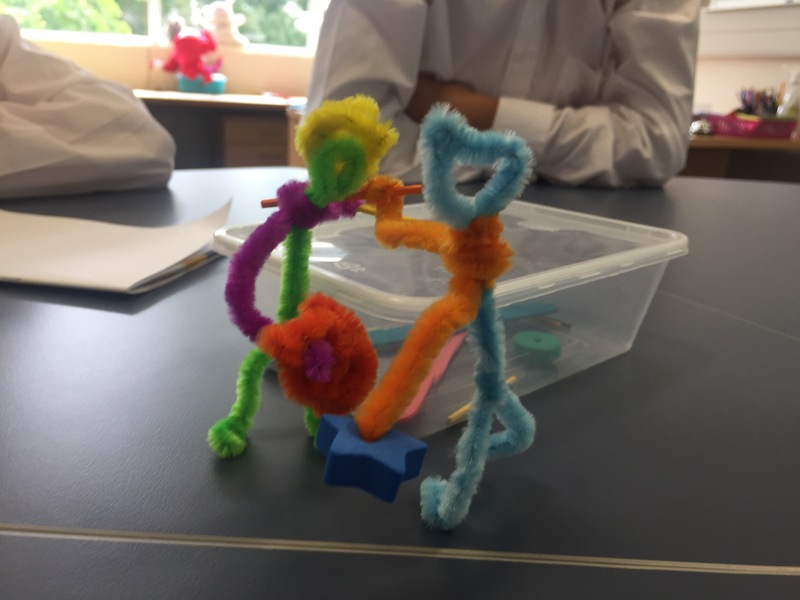 However I haven’t really been sure how to implement more practical creativity in my classroom, especially given the time constraints of teaching in the secondary environment. 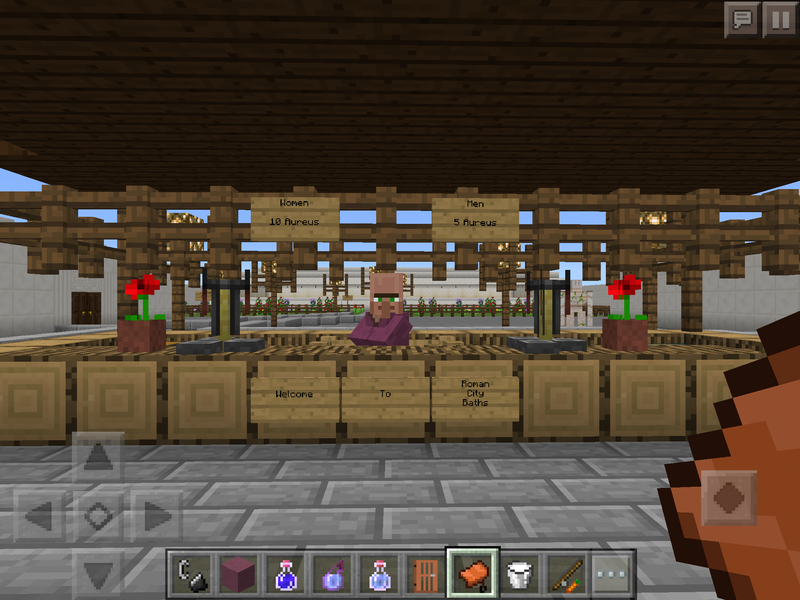 Of all the suggested digital Makerspace options, Minecraft seems to have the most value for my students and my subject – I can take those creative competencies and use them to make the ancient world come alive. 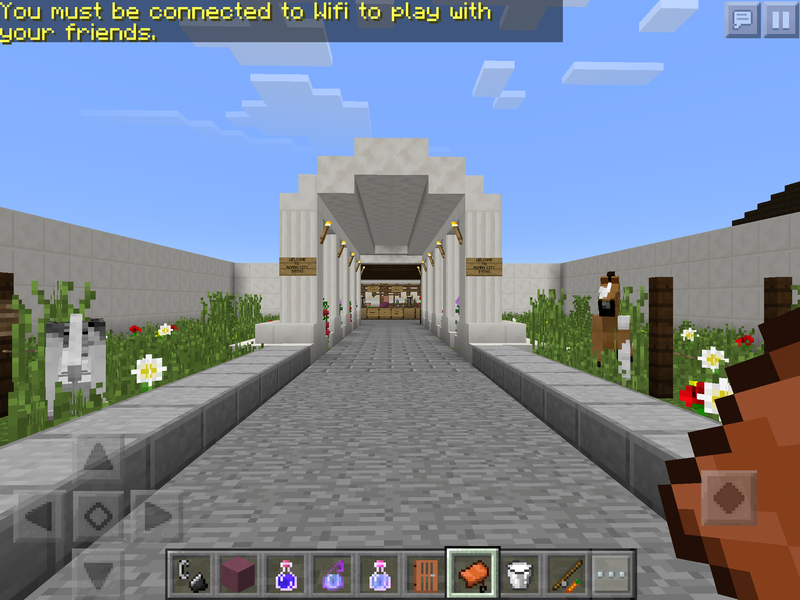 I blogged last year about using Minecraft with my junior Latin students, and I’m keen to build on this (ha! Punny…) in 2017 too. I wanted to share a really simple exercise I did with my new junior students today as my nod to the hands-on makerspace. This idea was adapted from a blog post by Jon Bergmann (I think this is my first authentic, entirely Twitter-inspired idea that has been six months in the making!). Instead of going over the course outline, my expectations and all that other exciting stuff in my very first lesson, today I spent most of my classes doing a creative challenge to get the students working with their new classmates, then gave them a one-page handout (created in Piktochart, one of my new loves) with a link to their iTunes U courses. That holds all the boring but necessary information they need about the first day of school, so they can have a look at that at home instead of going through yet another course outline in class. 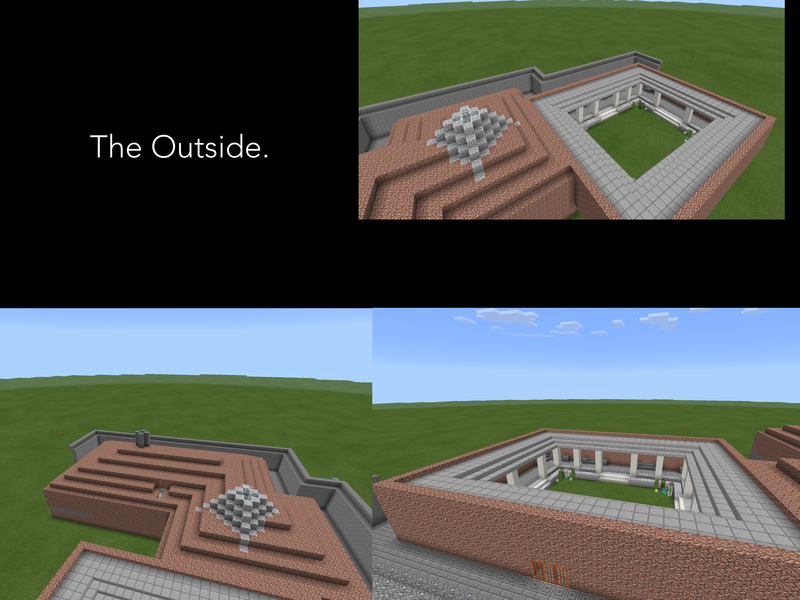 My Year 9 classes had to create something that came to mind when thinking about Latin/Ancient Rome. 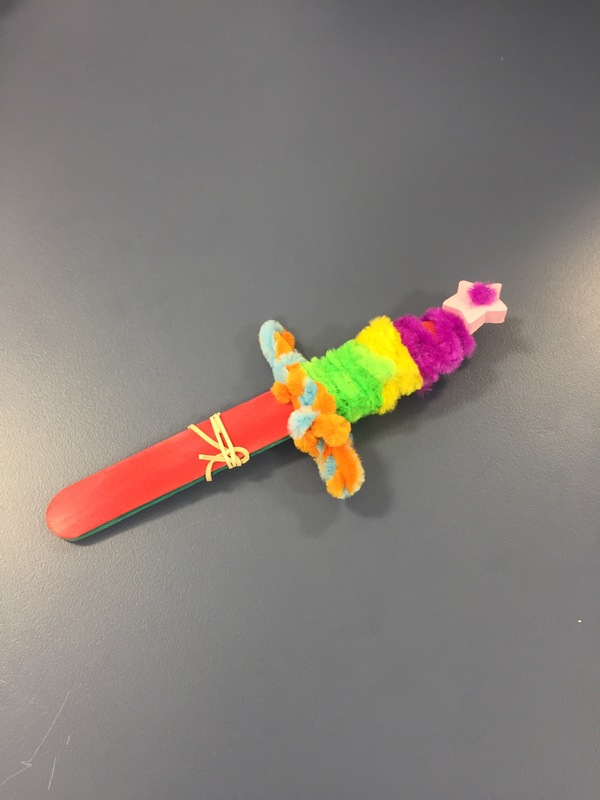 Most did swords, soldiers, gladiators and Julius Caesar, but there were a few Roman numerals and artworks happening – and it was a great way to assess prior knowledge! I was very impressed that they knew of SPQR (but only as a restaurant in Ponsonby). 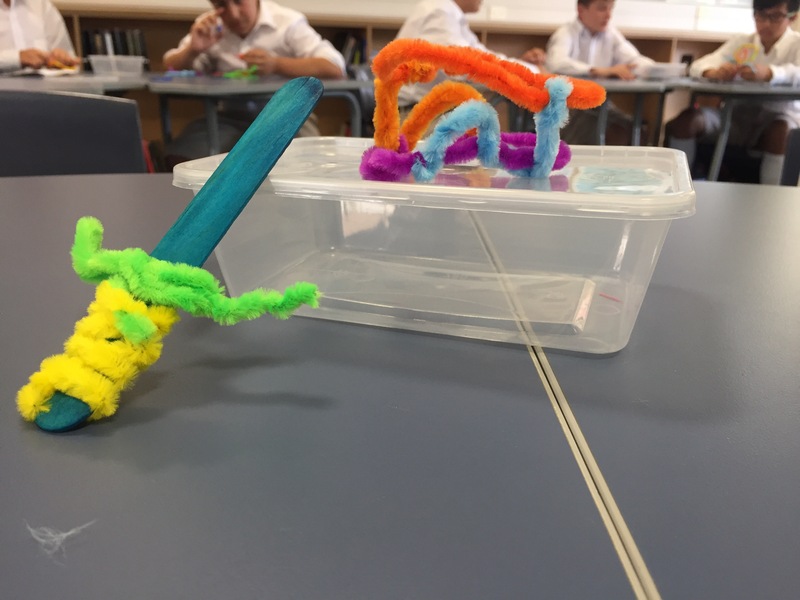 My Year 10 class created prototypes for tools which would lead to success in Latin. Although I didn’t get pictures, these were fantastic: I had a robot to sit at the back of the class and watch for gamers, a translation headset and even a shock collar for teachers to use to discipline or focus students. If only! I really enjoyed doing this as a beginning of year activity; it was a really nice icebreaker alternative and a good chance for me to wander round and talk to the students in small groups, rather than standing at the front going over a piece of paper. It also helped me to get a sense of who the real characters are going to be this year. Hopefully their first lesson was a memorable one and I was able to stand out from all their other teachers! 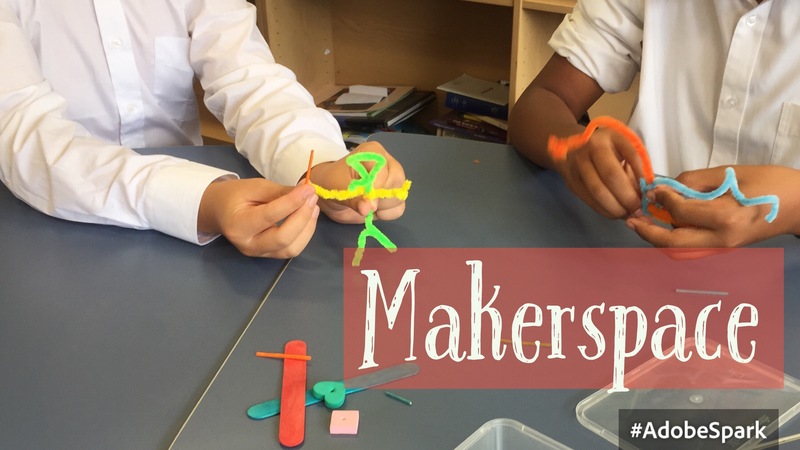 Have you used the Makerspace concept in a more traditional environment? I’d love to get some more ideas! 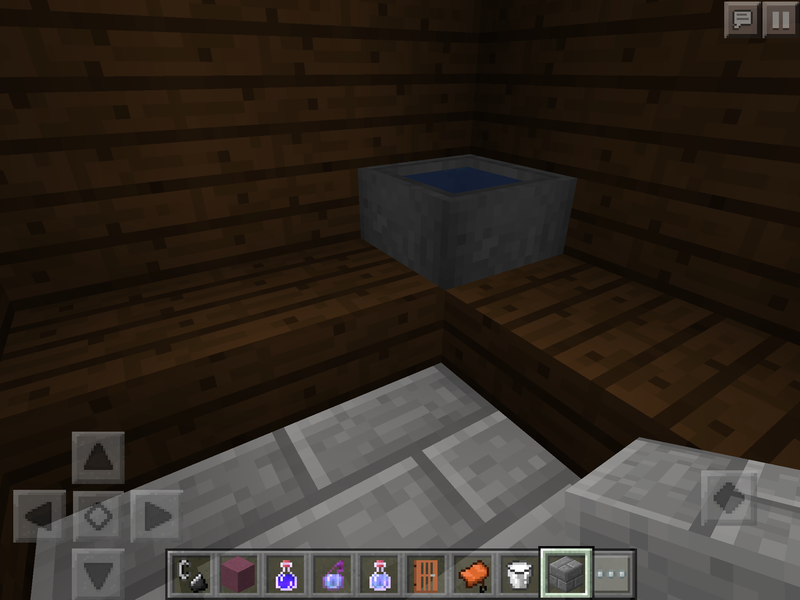 Over the past week I’ve had a go at some very basic coding, prompted by Thing 21. From what I’ve heard around the Twittersphere and all things edtech, it’s very “in” right now! I downloaded and tried out the Swift Playgrounds app to see what all the fuss is about. First things first, Swift Playgrounds is a beautiful app! It was engaging right from the start and a nice simple introduction to something I found very complicated (more on that soon). I found the ‘game’ aspect of it motivating as well. 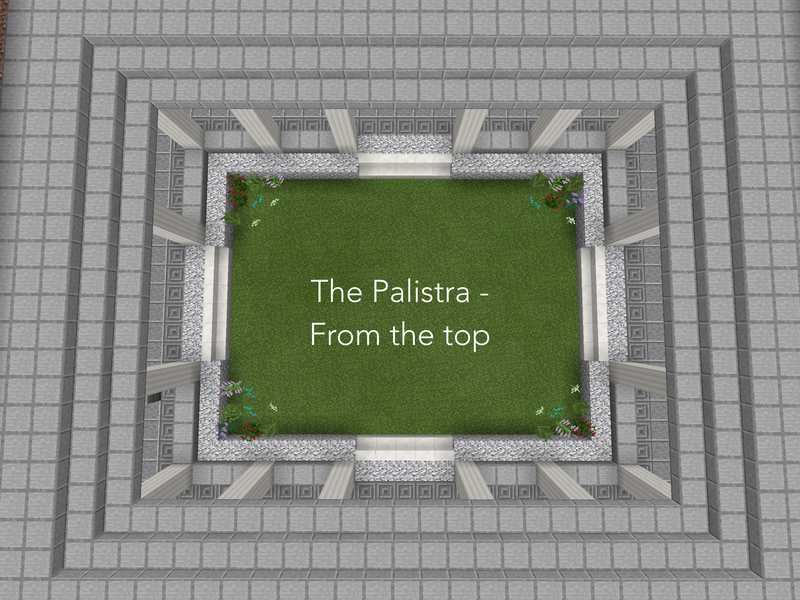 Here’s a little demo of what I managed to tell my character to do. 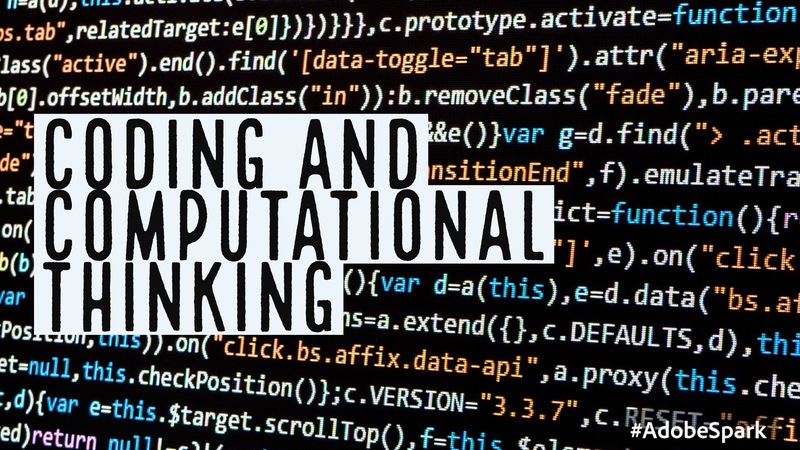 In terms of the value of coding and computational thinking, I certainly believe it’s something our students should be doing in school. Even if they don’t go into a career which directly requires this skill, I think there are indirect lessons to be learned. From what little coding I’ve done, you are required to think logically and learn rules, then apply them. I can see this linking to things like grammar in the languages I teach, especially Latin, where you need to be able to recognise parts of a word in order to translate it correctly and make sense of what the author is trying to say. Again, I haven’t got far enough through Swift Playgrounds to see what else I can learn, but it is a great test of thinking and something which will help our students in the future. I can recognise its value and am pleased to see it is being added to the NZC. Learning new and different skills is also something I can see is increasingly important for our young people as we prepare them for life after school. Over the past few years as a teacher, which is a very ‘old’ profession, I have had to adapt to using new technology and conveying content in all sorts of different ways. I haven’t yet had to code something but who knows where this job will take me? On a side note, I’ve skimmed over the previous Thing on ePortfolios; I’m treating my blog as a public portfolio and use Interlead as a private professional portfolio, shared with a few colleagues. I’ve engaged with the resources but just haven’t created anything new! I’m up to Thing 19 of 23 now! This week I’m blogging about how I use videos in my flipped classroom. As I’ve previously described, my senior Classics classes are flipped through iBooks and iTunes U. For each segment of content, I’ve filmed a short video tutorial by recording myself speaking over a Keynote. I also provide a page of notes, which is more or less a transcript of the video, for those who would prefer to read the information. When surveying the students I’ve found that about half prefer the videos and half the written notes, so I’m happy to continue providing this choice. My Keynote videos aren’t particularly exciting (I’ve tried to make them more engaging with images) but I think they convey the information they need to clearly, and are quite straightforward to create using my laptop and ​a simple USB microphone. Here’s an example about the Nature of Roman Religion, which I use in my Y12 Classical Studies class. I upload the videos privately to Youtube and the students watch them through a widget in their iBooks. At the beginning and end of each video I also remind the students of the key questions they need to answer, to help guide their note-taking. ​I’ve also experimented with a number of other apps and tools. I’ve previously mentioned Adobe Spark Video, which I love getting the students to use. ​It’s a really great way to quickly make a really professional looking short video. Here’s an example I made to give students a basic overview to the city of Athens (excuse my super Kuwi accunt, it sounds particularly strong in this video!). Another app I really like, but have yet to master, is Explain Everything. My iPad handwriting is still pretty messy but I’ve been experimenting with it to make tutorials on grammatical concepts for my junior language students. It’s quite effective in its simplicity, and I want to continue improving my abilities so that I can create more flipped content for my junior students. 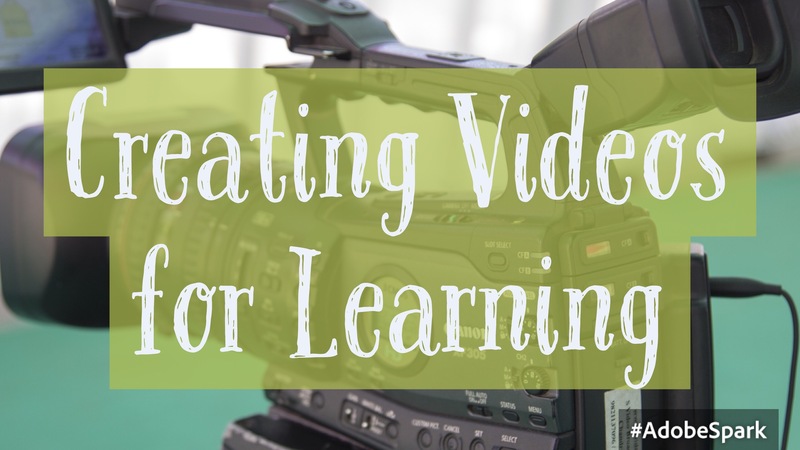 How do you use video in your flipped classroom? Thing 18 had some really useful food for thought about how to use technology to provide insights into learning. As a relatively new teacher, I’m constantly trying to figure out how I can better shape my teaching to help my students’ learning. 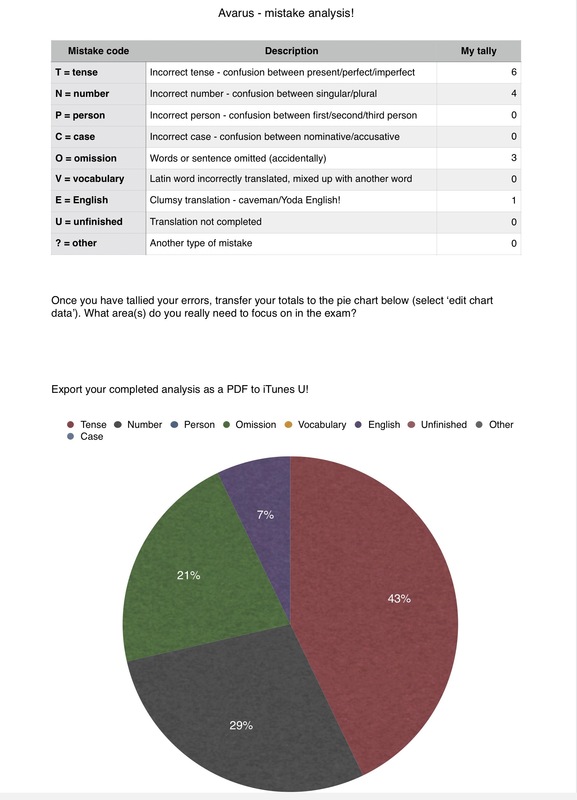 I like to use Google Forms for surveys, and I’ve previously posted about how I use iTunes U and PDF Expert to give my students formal feedback on their writing. 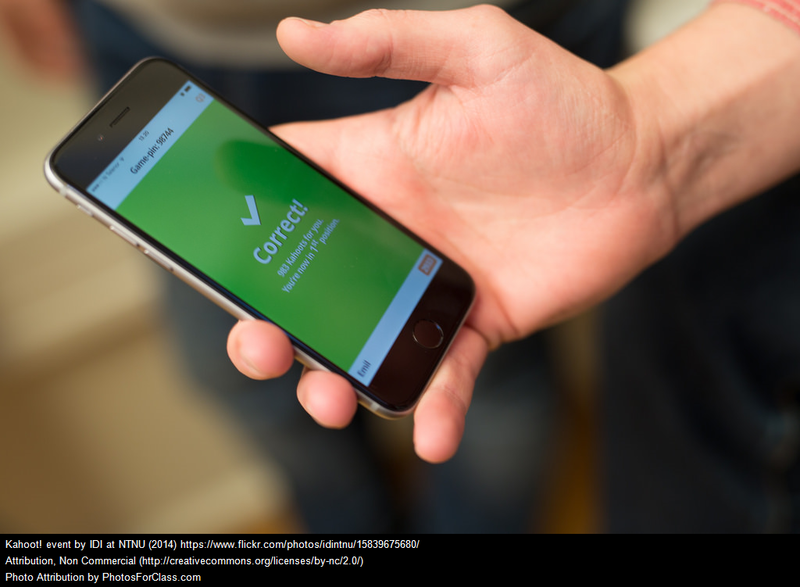 Today I thought I’d mix it up a bit by talking about three games which I use for informal feedback on learning: Kahoot, Quizlet Live and SMART Technologies’ Monster Quiz. I think a lot of people will already know about this quick and easy way to play multi choice quizzes in class, so here is a brief summary of the advantages and disadvantages, as far as I can see them. Advantages: very quick and simple to set up, heaps of content has already been created (no wheel reinvention required), very engaging for students, can discuss answers to overcome common difficulties and download results for further analysis. Disadvantages: can get unruly (noise and inappropriate nicknames! ), tends to reward speed rather than accuracy (although streak bonuses are helpful), students need to be calmed and paused to review questions for maximum usefulness. I only just got on to Quizlet Live this year (I’ve already used Quizlet quite a bit) and have really enjoyed playing it with my students. 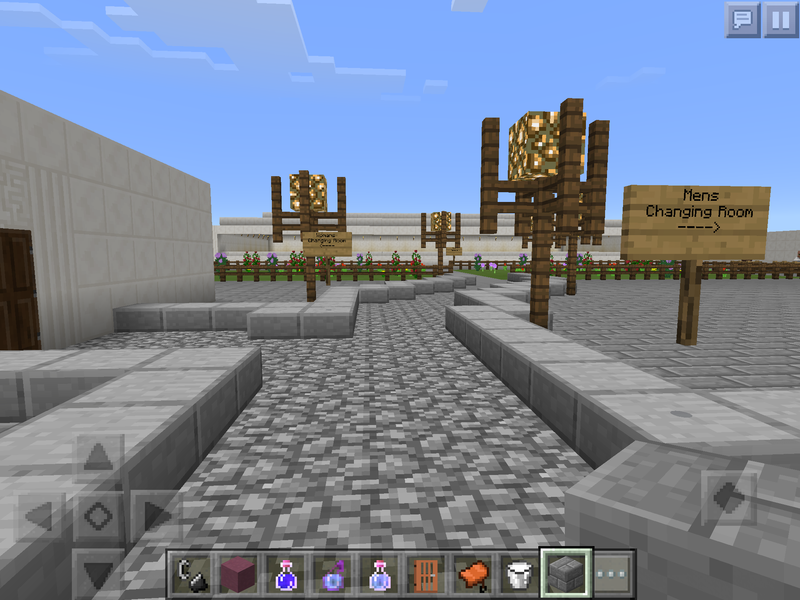 It’s a team game where students have to match terms and definitions across multiple devices. They race to earn 12 points, but lose them all if they make a mistake. Advantages: quick and simple to set up, lots of pre-existing content, encourages collaboration, students are rewarded for accuracy and definitely take more time in answering, students focus on their devices so it doesn’t get too rowdy, can go over results with class at end of game. Disadvantages: if one student’s device drops out it can ruin things for the team, one student can take devices for him/herself and let teammates just sit there. This is a fun little game included on the software for my smartboard. You need to create a set of multi choice questions, which the students then race to answer in groups on individual devices. Each question answered helps to hatch a monster, and the first group to have all members answer their ten questions wins. 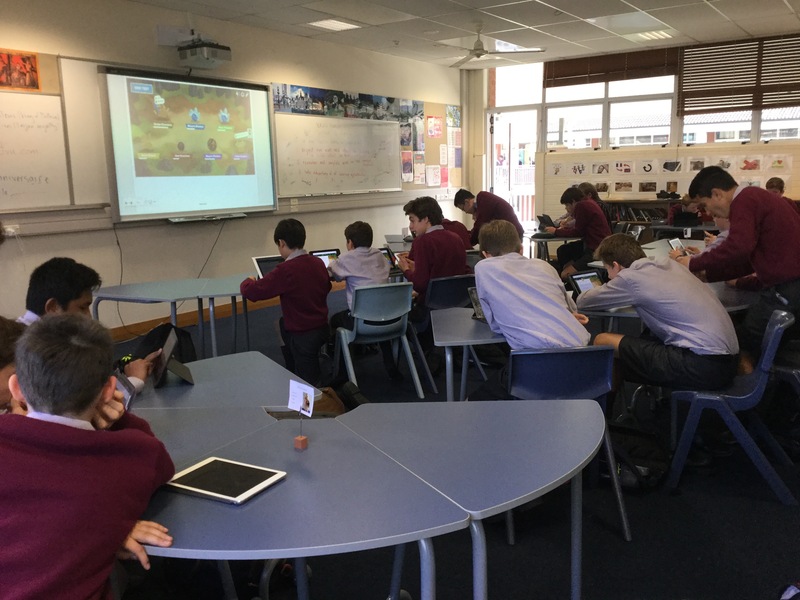 Advantages: fun music and graphics to engage the students, encourages collaboration and teamwork, and my Y9 boys LOVED it (they stayed after school on Friday afternoon to play another game! ), results and data is presented at the end so you can go over the answers. It’s hard to pick a favourite of all of these tools but I think having a variety is quite good – it stops the students from getting bored and keeps them on their toes! I tend to use Kahoot for quick individual reviews at the beginning/end of a lesson, Quizlet Live for introducing/reinforcing vocabulary or concepts over a longer period (going through a list several times until the students’ accuracy improves, and I save the Monster Quiz, being a bit more time consuming to set up, for its novelty factor. Answer Garden also looks like a really cool tool – unfortunately all my students are off doing exams so I couldn’t try it out with them! I’d love for readers to be my guinea pigs instead; tap here to tell me what you think of my blog. To quickly share ideas I quite like using Padlet or SMART Technology’s Shout It Out feature on my Smartboard. They’re a great way to hear from all students, and they last longer than sticky notes! They don’t always work reliably but they have proved useful tools. Have you used sketchnoting with your students? What is the best way to help them benefit from thinking more visually? 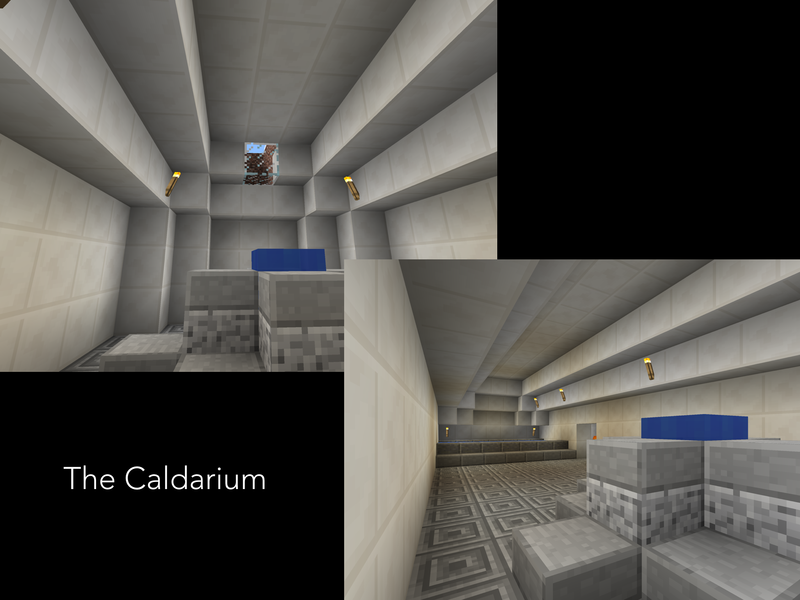 Thing 16 showed me some new ideas about innovative, flexible and modern learning environments. This has been something I’ve thought about over the past year as I’ve tried to create a space that allows me to teach in the way I want to, taking advantage of modern technologies and pedagogies. Flexibility – so that he/she is able to adapt to the needs of the students, task and content, and is willing to make changes when necessary. Confidence – (perhaps the new teacher in me!) so that he/she is able to let go of control, step away from the front of the class and allow his/her students to take risks and try new things. Creativity – so that he/she is able to find solutions to problems and create new ways to help the students’ learning, taking advantage of the resources available to him/her. Curiosity – so that he/she is able to encourage this mindset in students, teaching them that it is ok not to know all the answers and that finding them is how we learn. Expertise – so that he/she can hit the sweet spot of TPaCK (technological, pedagogical and content knowledge), helping his/her learners to extend their understanding of a topic using appropriate technology and pedagogy. I was lucky enough to upgrade my classroom desks this year to create a more flexible learning environment. I wanted classroom furniture which would allow my students to work effectively in a range of settings and tasks. While my juniors often work in groups, my seniors really enjoy whole (small) class discussion, but also need to break away for group, pair and individual work. I came across Furnware’s slice tables and was able to trade in my traditional desks for these cool “pizza” ones! Although they take a bit of time to set up, the tables (see picture above) are very light and manoeuvrable and fit into a range of configurations – even single seating for tests! My classroom still feels quite cluttered, but the word is that we will have smaller junior classes next year. Hopefully this happen and I am able to remove some desks to create more space. 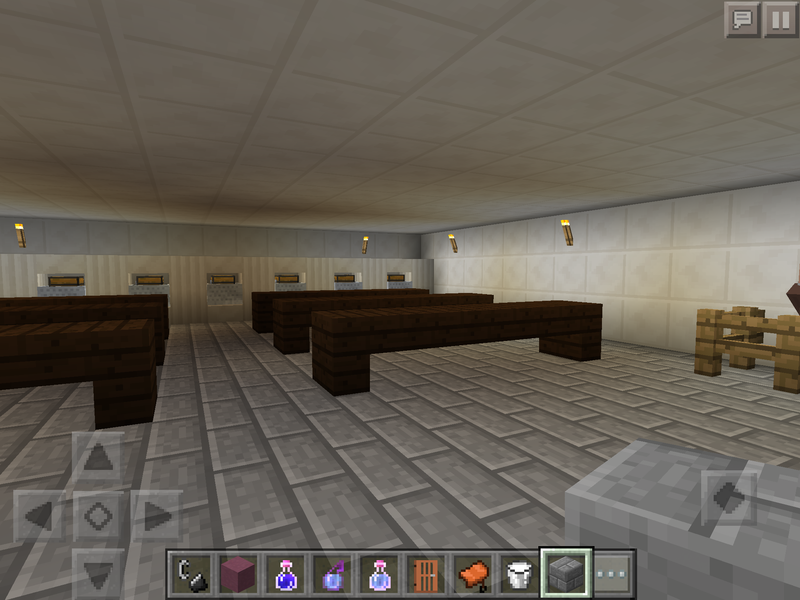 This will also make it easier for the students to drag the desks around and set them up themselves. I’ve also found that the students really don’t like facing away from the board, even if I’m only using it for a few minutes at the start. I’ve requested swivel chairs next year which will hopefully help me to take advantage of the situation. I’m very fortunate to work exclusively in one classroom so can set it up how I like it, but I know the new, constantly-changing desks haven’t always been easy for itinerant teachers (and some students). With an unlimited budget, I’d love to replace some of my shelving around the walls with whiteboards for groups to write on, as well as bring in some more comfortable furniture for when students need to read or watch something. I think having a “different” space does help students to learn in a different, less traditional way, but I do need to keep challenging myself to think outside the box and step away from the front of the room. 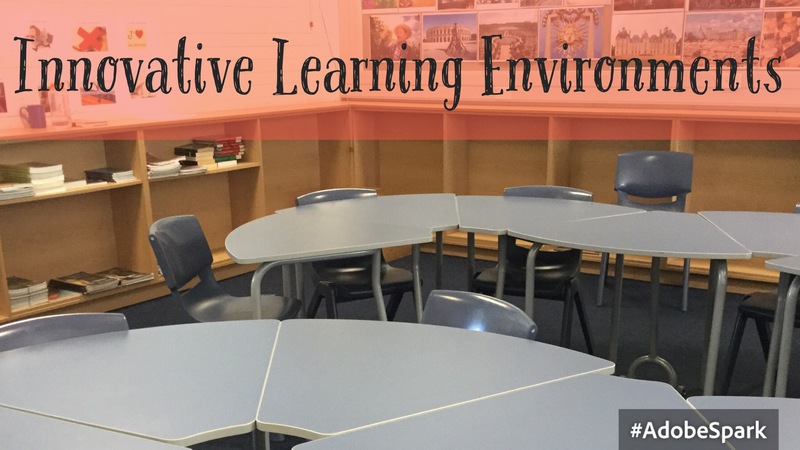 Have you tried to create a more flexible space in a traditional senior classroom? How has it worked? 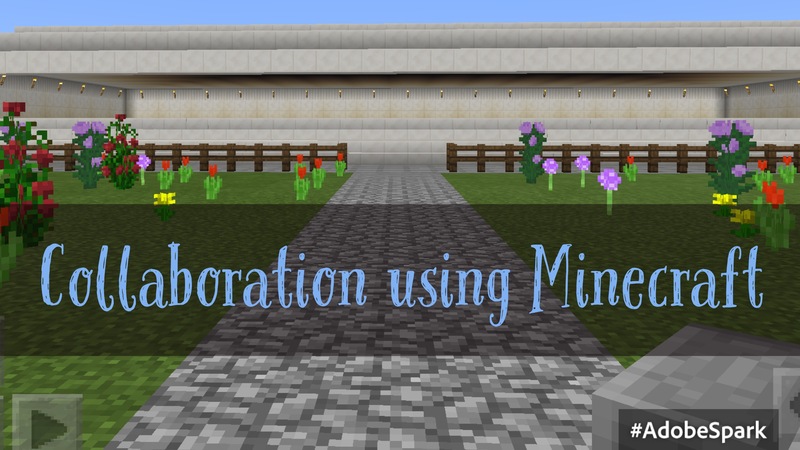 After reading the information on Thing 15 and learning about collaborative learning, the immediate thought to spring to my mind was a recent project my Y9 Latin class completed using Minecraft. I’ve never seen such effective and productive group work from students, and I was able to take a step back and just enjoy watching it happen! 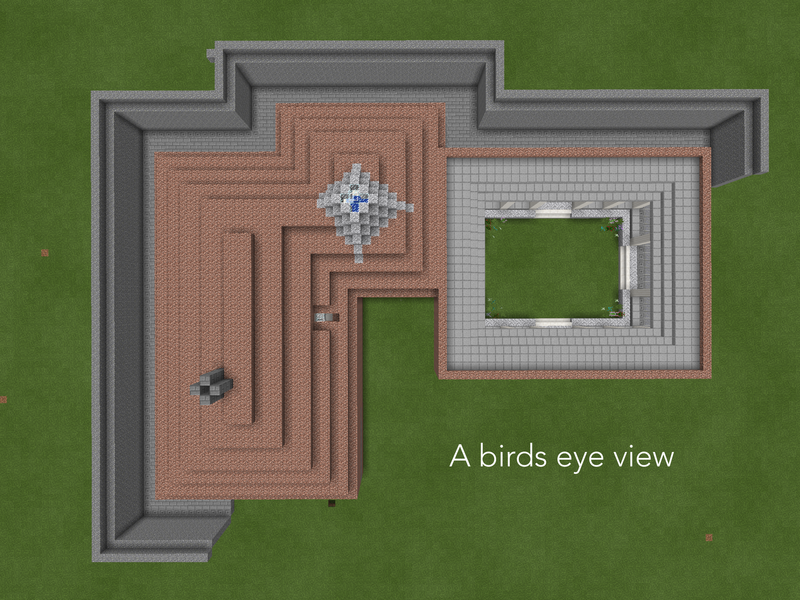 I would like to preface this post by saying that I know very little about Minecraft. I’ve downloaded the app and tried to have a play, but I don’t quite “get” it. When I showed my software engineer brother what the boys had done he got very excited, so I need to line up a lesson with him! 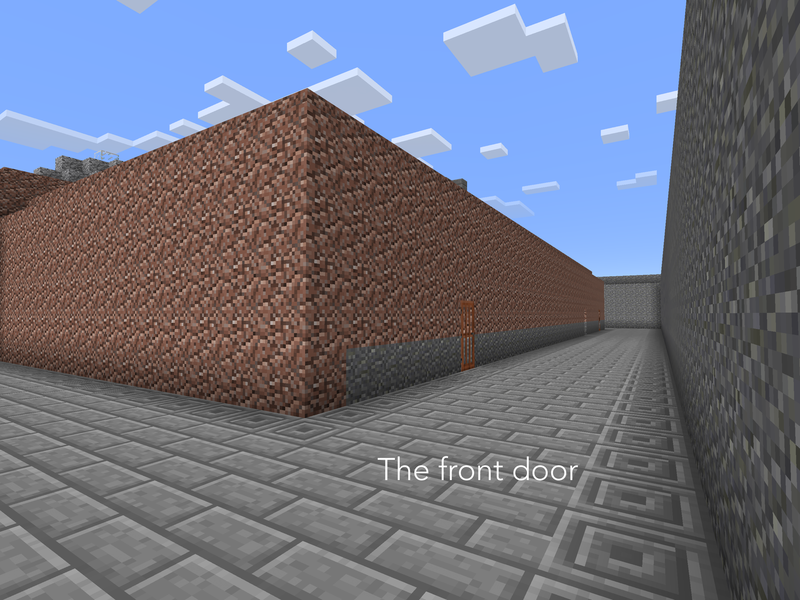 I saw it in action briefly last year when my French class built towns to describe and navigate in, but I think they focussed far more on the Minecraft than the French. 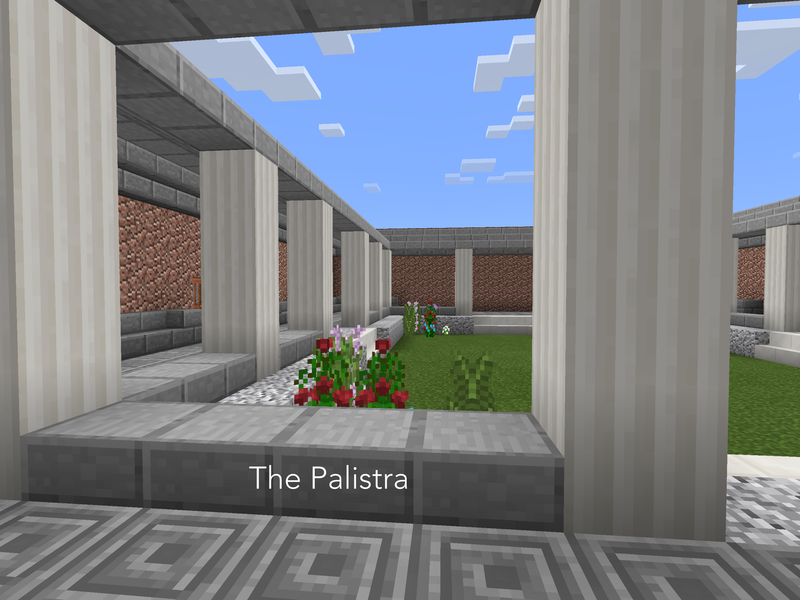 We had been learning about the baths at Pompeii and I wanted a way for the boys to gain a deeper understanding of how the baths worked, technically and socially. 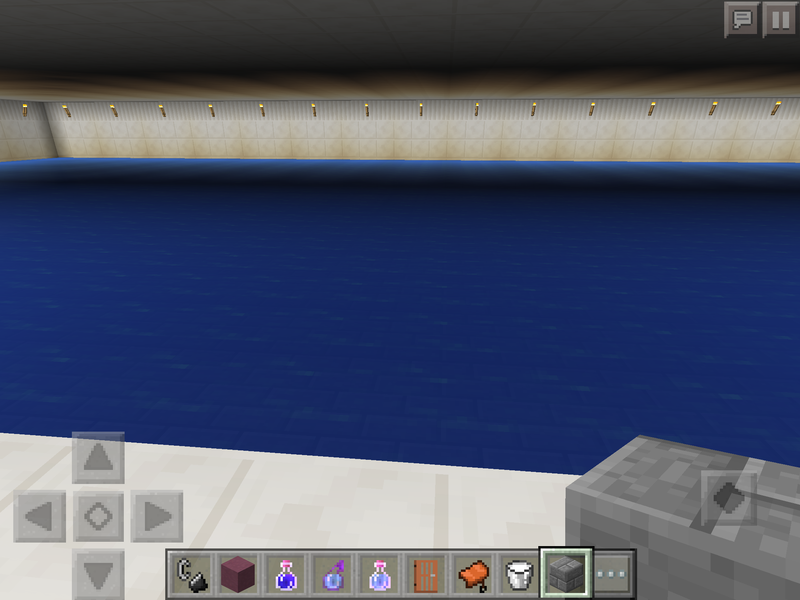 When I suggested they build the Forum Baths using Minecraft and asked if any of them used it, I had one boy (largely silent up until this lesson!) practically jump out of his seat to show me how it might be done. The rest of the class was very enthusiastic and so we dedicated a couple of lessons to recreating Pompeii’s Forum Baths. This was the most autonomous I’ve seen my Y9 class and it really was fun to wander round, watching and listening and asking them what they were doing. I don’t think I provided enough guidance (some were drifting a bit far from the brief and inventing rather than recreating), but a bit of gentle prodding helped to keep them on track. 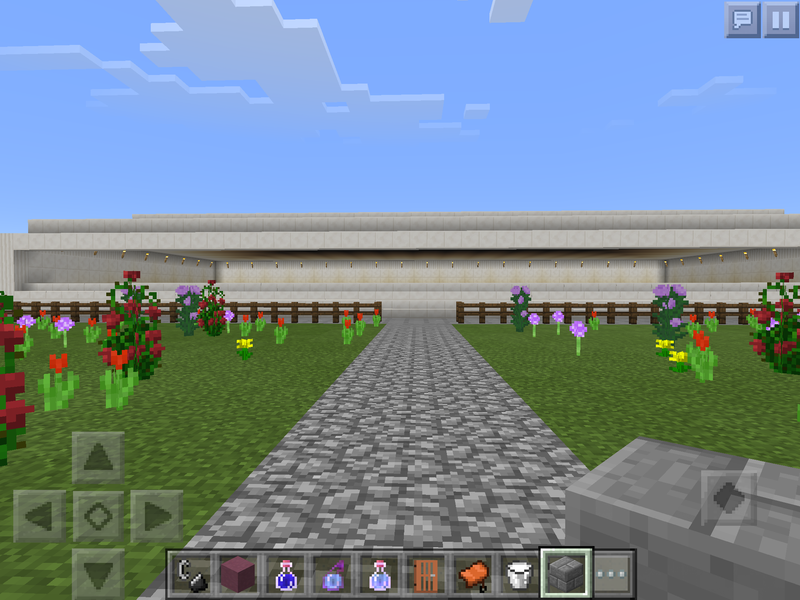 All by themselves, the boys got themselves into groups, helped those who didn’t understand Minecraft to get started, and somehow managed to create this very complex building together. They were able to problem-solve by themselves and I didn’t need to intervene much at all. At the end of these lessons they presented their group’s creation to the rest of the class, and graded each other on categories like attention to detail, historical accuracy and creativity. It was a really fun process and they were able to justify all of the decisions they made. It was also nice to see the quieter members of the class taking a starring role and lead the less experienced members of their group! It will be interesting to see how this transfers to their exam in a few weeks’ time, where they will need to explain about how the baths went and what a typical visit there might involve. 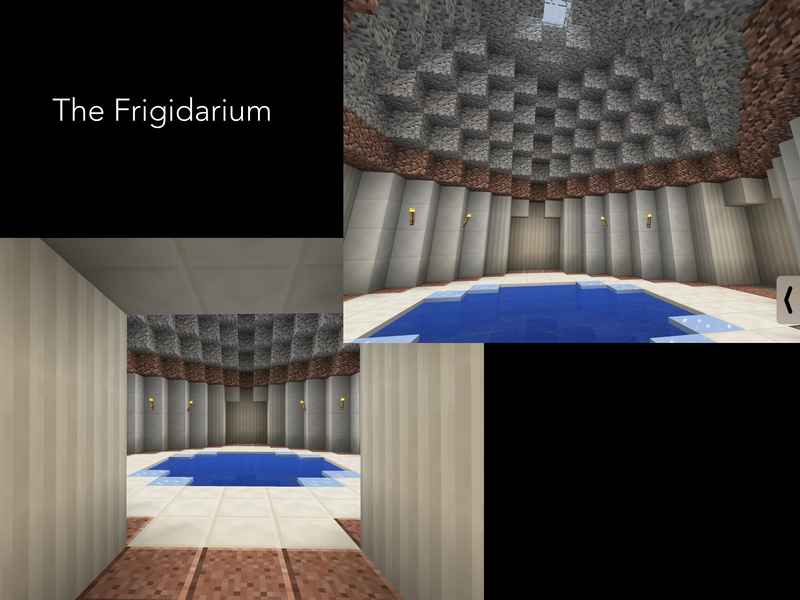 The boys commented that this project really made them think about what the baths might have looked like and worked like, and that it made the concepts more memorable to them. From the feedback they gave me, there was one overwhelming negative – which, unfortunately, is the opposite of collaboration! 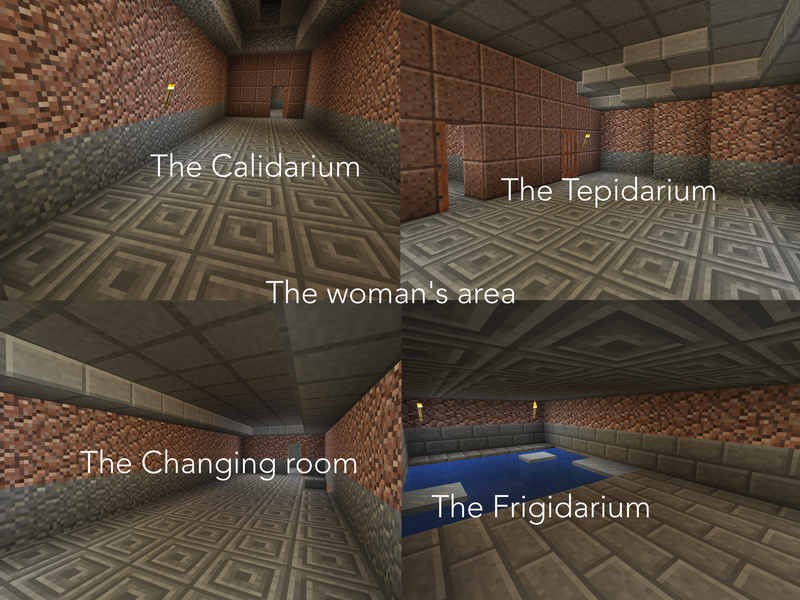 As I found out, each “world” can have up to five players working on it at a time, all connected to the same wifi. The downside to this is that others can get in if the group has less than five players and do what they want. In our case, that involved blowing things up. I like to think that these intruders were off-task students in nearby classrooms rather than destructive influences in my own one, but it was certainly terrible to see students lose hours worth of hard work in a few minutes to some nasty individual! 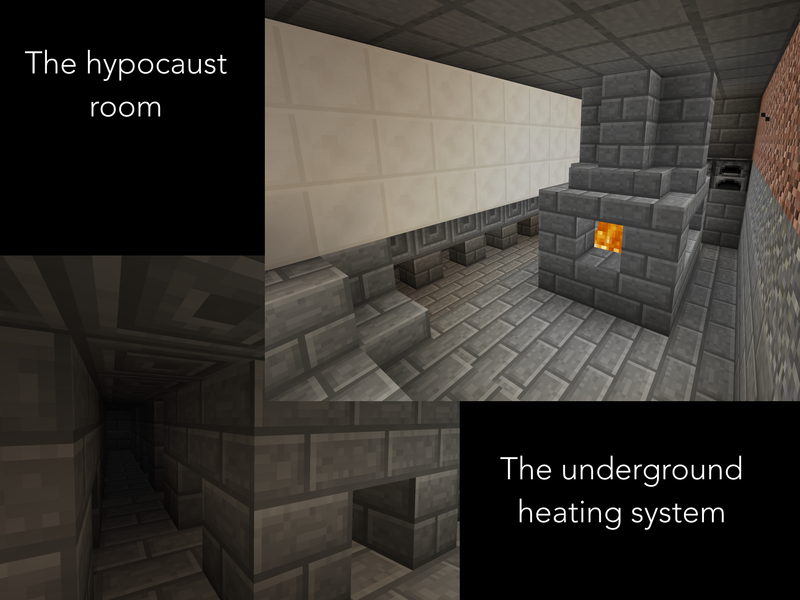 Despite this, I think the positives outweigh this one negative aspect and I’m keen to learn more about Minecraft so that I can do more of these sorts of projects. Are there any experts out there with any suggestions for me? Thing 14 has asked me to look at using Web 2.0 tools and apps in a transformational way. I think this fits in quite nicely with what I’ve been trying this year, both in using iPads as tools to enhance learning (rather than substitutes for pen and paper) and in the aims of my flipped classroom. I see creation, the final step on Bloom’s Taxonomy, as a really useful way to communicate to students that it isn’t enough just to regurgitate information; they need to be able to do something with it. We talked through the different steps at the beginning of the year and many were surprised that remembering wasn’t the hardest one! I tried to sell my flipped approach to them by explaining that they were doing the remembering and understanding bit at home, and we’d try to reach creation level in the classroom. I’ve had mixed success with this, but I’ve learned a few useful things along the way. When giving students a task that involves producing their own content, I’ve found that I really need to design it in such a way that they have to use their knowledge in a new context. If I get them to make an article/video/presentation about a topic, I tend to be given information which looks suspiciously copied and pasted. However if I specify the purpose of their creation, or the target audience, they have to think a bit more carefully about how to make sense of that information and how to communicate it. One of my favourite apps for creation is Adobe Spark Video, formerly known as Adobe Voice. It’s a beautifully simple app that enables the students to create short videos with icons or images and a voiceover. 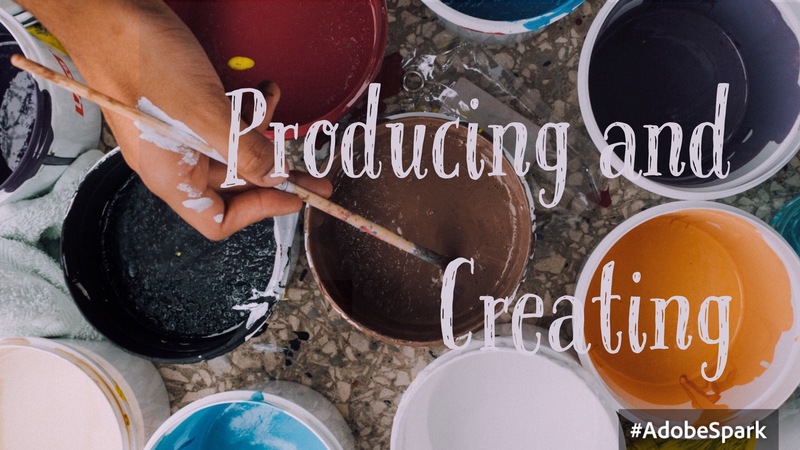 I’ve had a lot of success using Adobe Spark Video in a range of classes and like it because the students can produce something of a relatively high standard quite quickly and easily. A lot of the formatting and aesthetic bits are done for them, so they don’t get distracted from the content! I’ve mainly used it with junior classes (both French and Latin, in different languages) and the boys picked it up really easily. I also tried it earlier this year with my Y12 Classics class, who needed to explain the siege of Dyrrachium and Battle of Pharsalus to a Y9 Social Studies class. Here is one of my favourites, with images drawn using Paper by 53 (and a voiceover by one of the student’s friends – he liked his English accent…). A challenge I have faced in trying to get students to create their own content is getting older students to be creative. 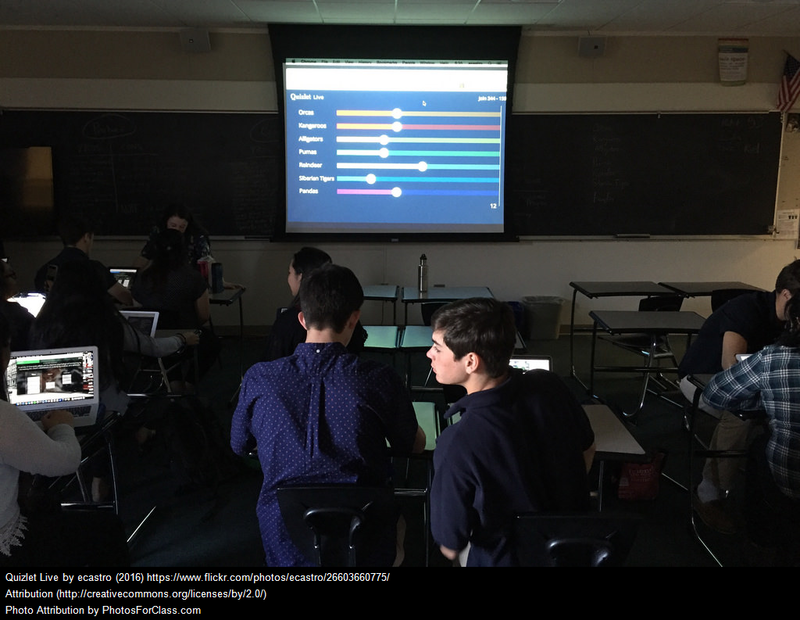 While the juniors are quite happy to try new things and take risks, the seniors prefer to reproduce information using word processing or presentation apps. Many of them are really talented artists, designers, musicians and actors, so I would love to see them apply these skills to Classics, but when given the choice they are reluctant to do so! I think the pressure of high-stakes assessment does make them stick to ‘safer’ options wherever possible, but it will be interesting to see what my current juniors are like in a few years time. Does anyone have any suggestions about how to encourage older students to make their own creative content? Finding a solution to the not-doing-the-prep problem. Any suggestions are welcome! I need to do some serious research and try pick others’ brains, as both I and my students have identified this as a real problem area. 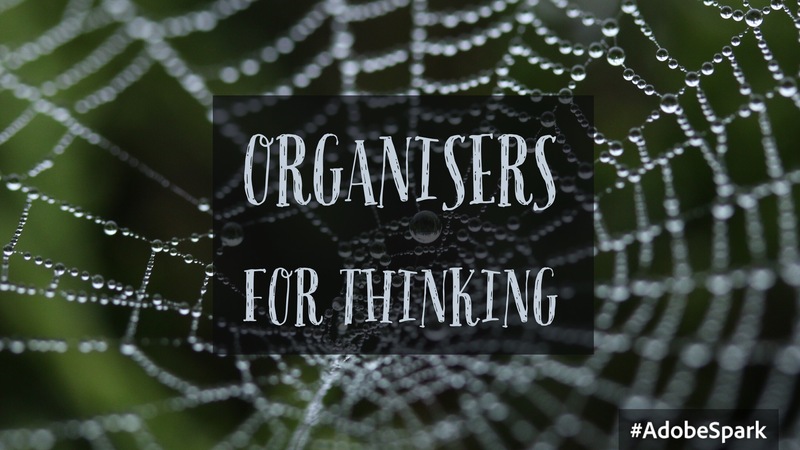 Come up with creative and engaging ideas for activities to do in lessons. With the seniors on exam leave, I’ve got lots of time to create resources if necessary. Look into differentiation and flipped mastery. With mixed-ability classes, this would be a good way for individual students to get more out of lessons.